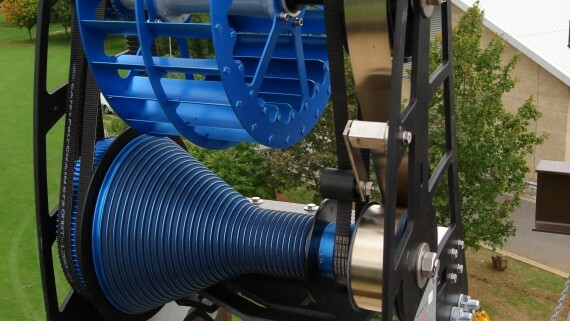 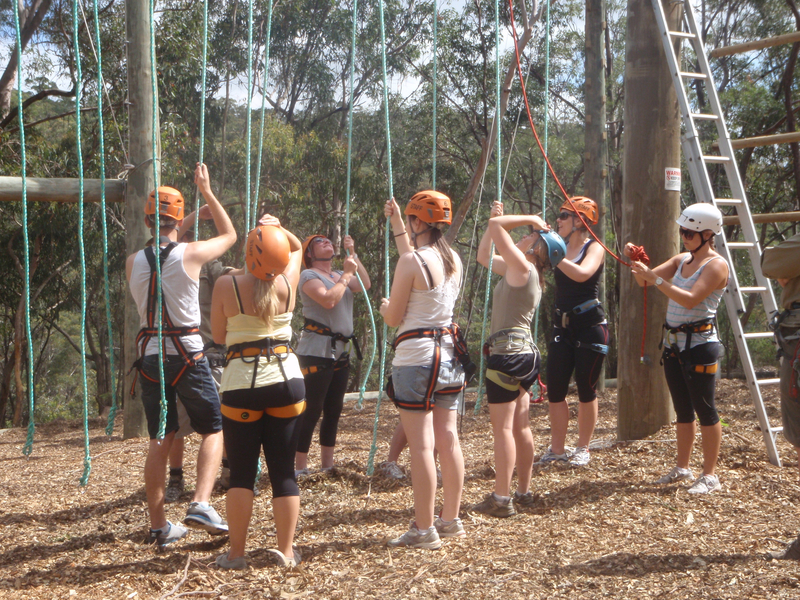 clients, it has been especially popular as it gets so many participants actively participating. 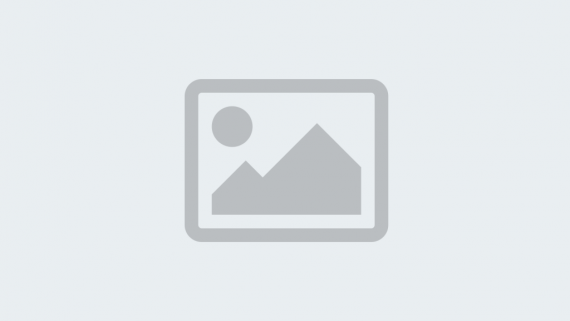 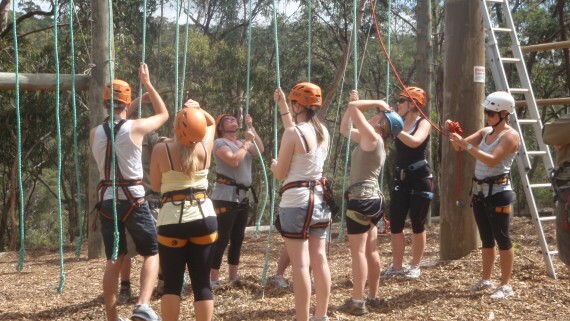 The Team Trail is "Excellent at getting everyone involved". 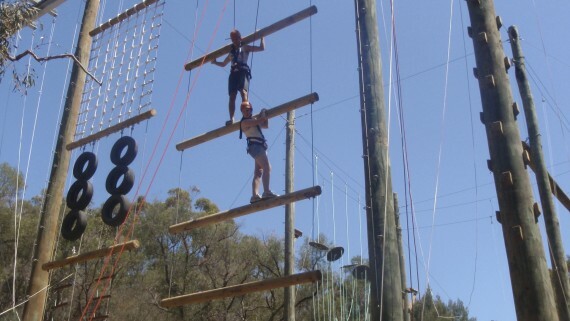 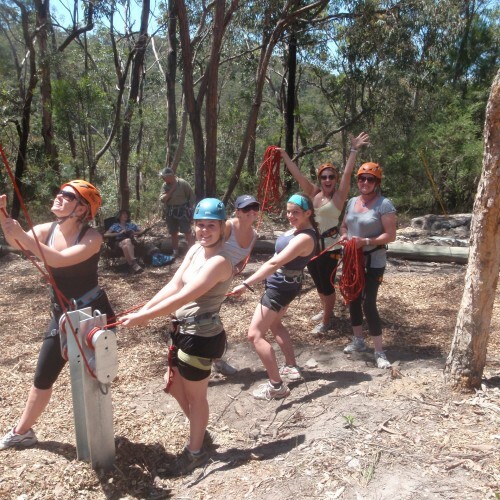 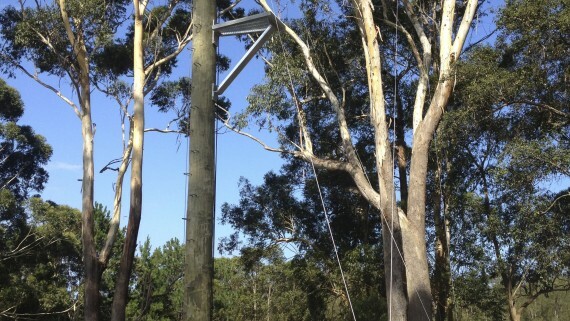 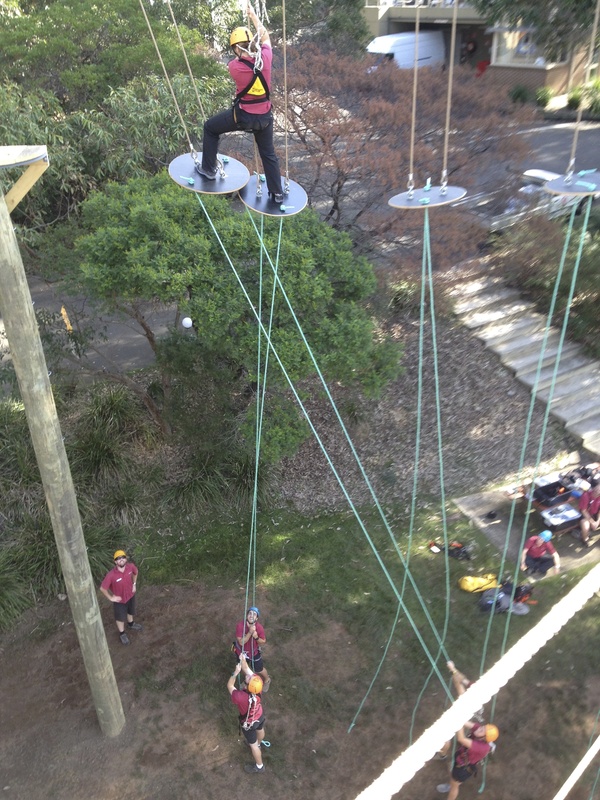 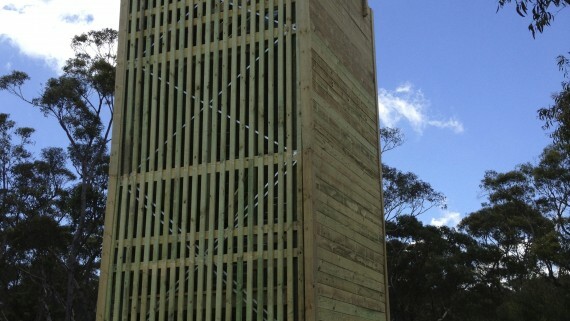 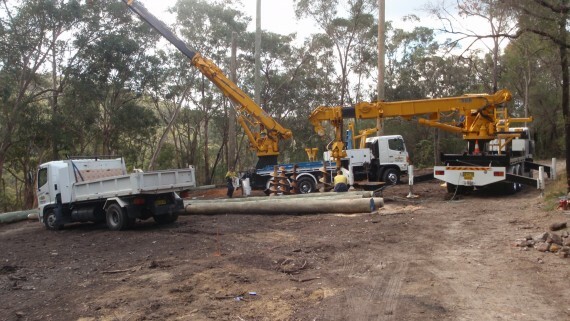 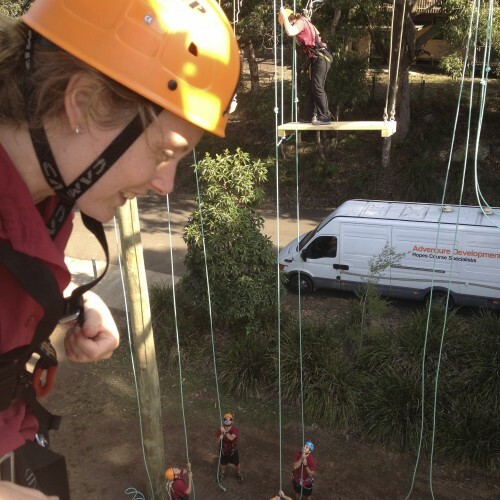 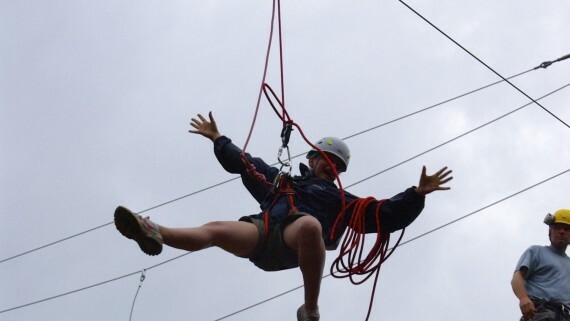 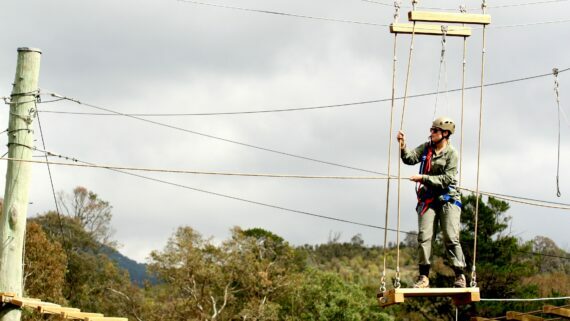 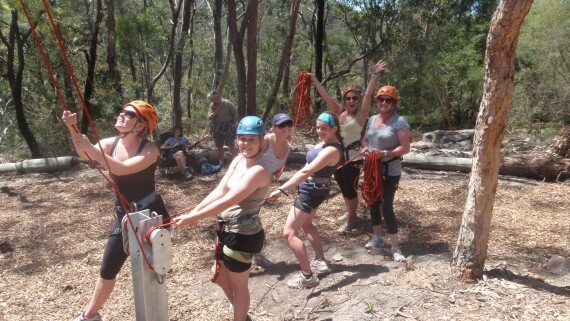 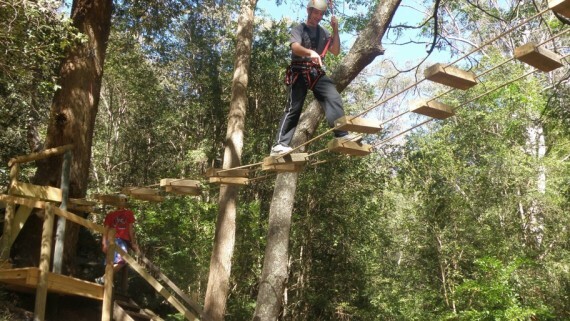 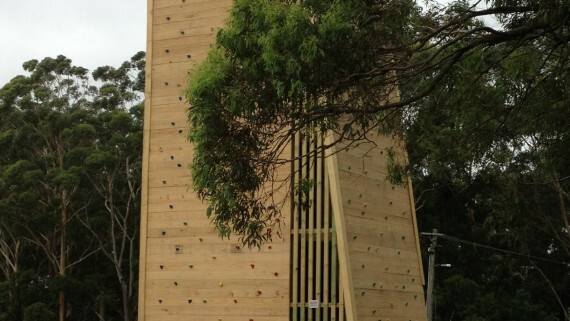 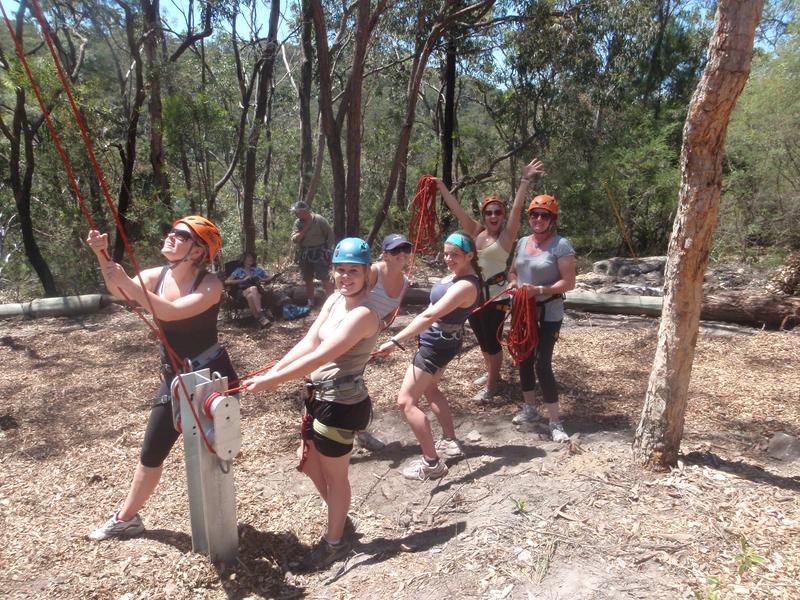 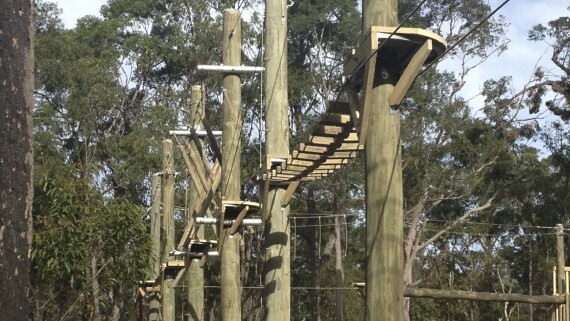 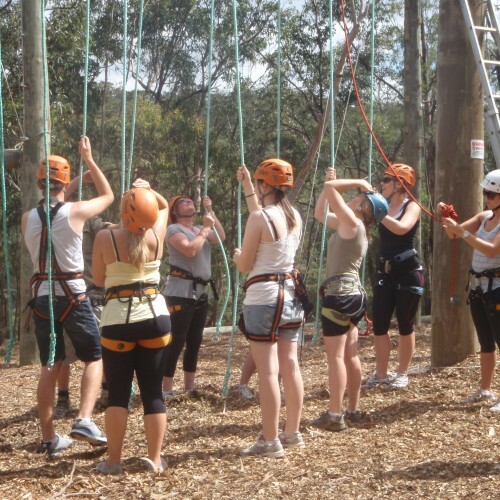 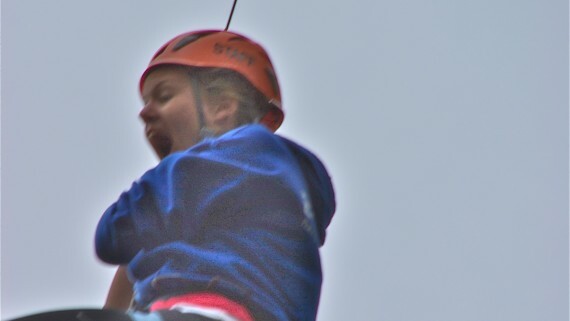 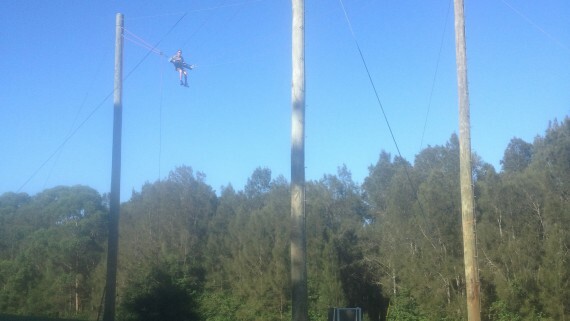 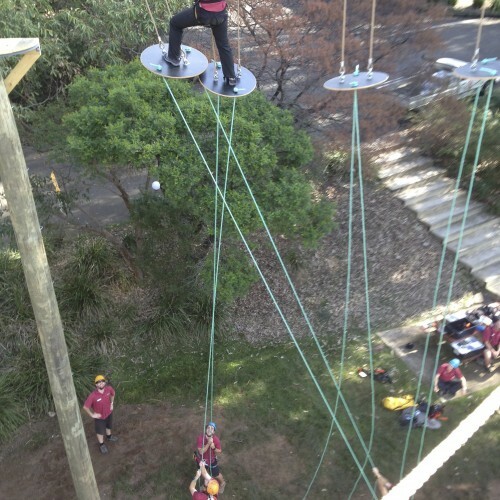 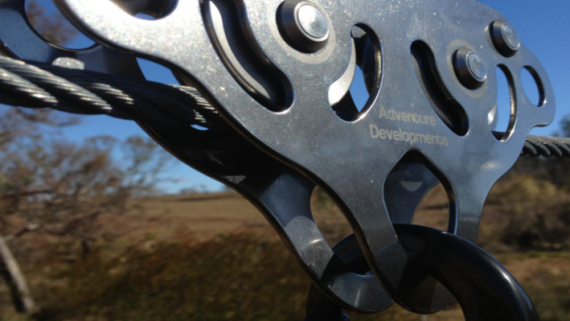 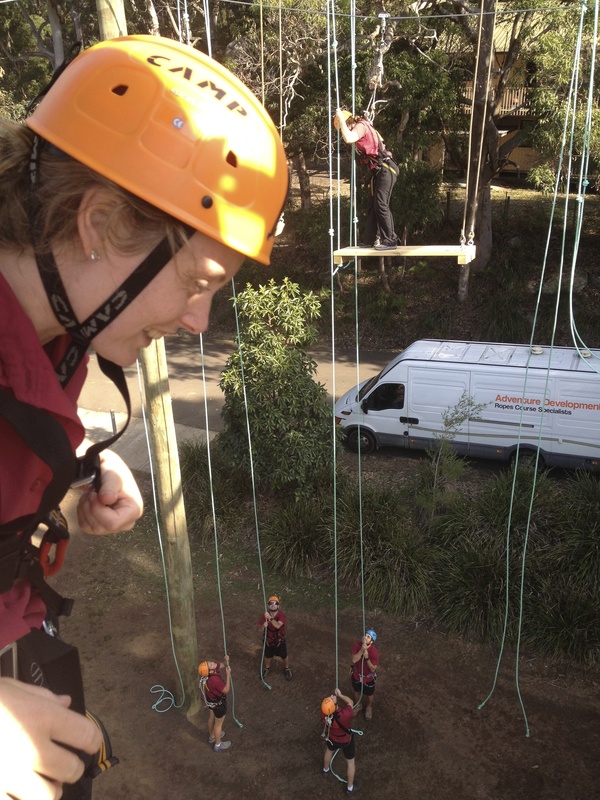 As is the case for many venues in Australia, this particular client usually ran group sizes of 15-20 participants, and wanted a high ropes course with lots of team activity and involvement. 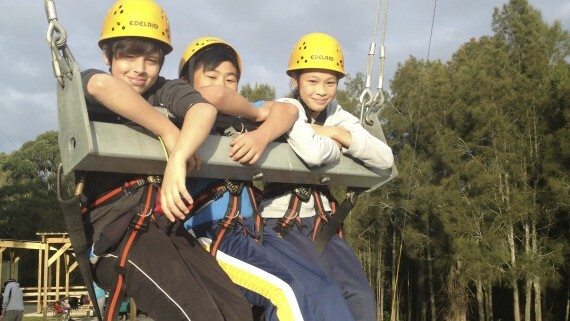 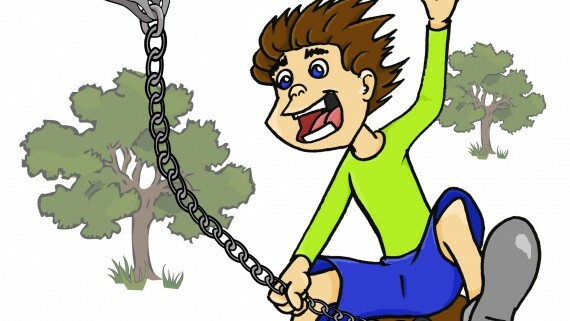 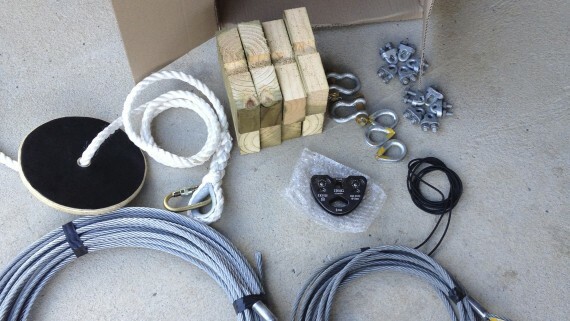 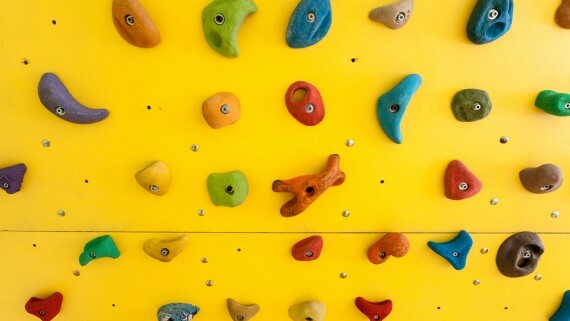 Getting lots of kids up on the elements at the same time has been done before, it is usually expensive as there needs to be multiple belay systems or additional group management. 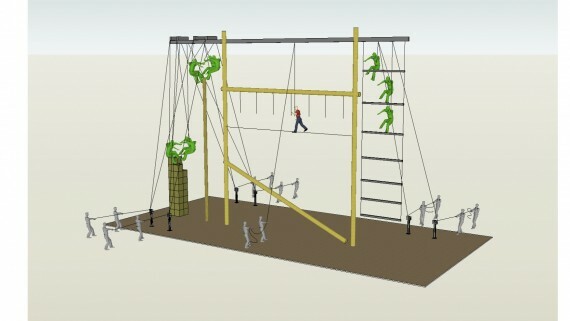 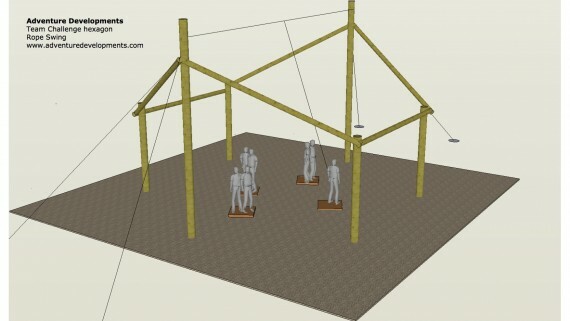 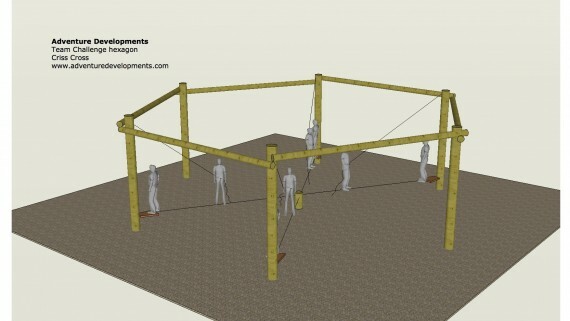 We conceived a series of elements that must to be operated by a team of people on the ground, they all have ropes hanging to the ground which the team must use to position/ stabilise/ lift part of the elements into position for the person at height to cross successfully.